We offer a bespoke service where we discuss all possible routes for cables and fit in the most discreet ways possible to suit either your home or office. 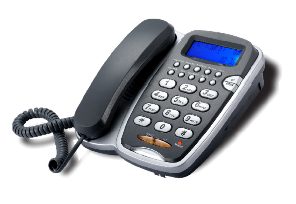 We also specialise in fault finding on telephone configurations and systems. So anything from a crackling line to no phone at all......we can deal with it. We offer home or commercial wired or wireless data and telephone network solutions to suit every budget. We understand how important data and telephone networks are becoming with the new innovations in TV & home computing, and we understand how they can be integrated into your home technology to create a robust and reliable network. Giles TV can offer advice and support to both home owners or companies who are looking for a reliable organisation that is able to fit anything from a single telephone socket, through to Networking a router to extra computers or even through to your Smart TV. So if you have an issue, no problem! Just give us a call on 01934 611264 or send us an email via our Email Enquiry Form.